You know you can read manga online, right? No, I'm not referring to fan translations and scans that you find on fan sites, but full-length manga that is released offically online. ComicsOne is a site that sprang up to fill a void in the manga market that didn't exist prior to electronic versions of books appearing online. 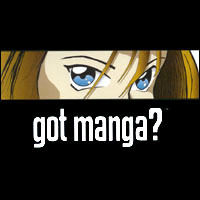 ComicsOne launched on October 10, 2000 and now has over 27 manga titles both on the net and in print form. The titles they publish include a wide variety of works that would entice just about any otaku looking for something unique. There are manga ranging from those of the sweet shoujo nature to the gut-wrenching horror variety, and even a title about how to raise a hamster...! Animefringe recently got to talk with the staff of ComicsOne about the products they offer and even get some insight in to their most popular titles. So sit back and find out about the company and their most popular titles, and then surf on over to ComicsOne.com and check out some of the free books they have available for download. AnimeFringe: How did the idea to do e-manga come about? ComicsOne: ComicsOne noticed that one of the major downfalls of the comics industry is the limited distribution. By producing our titles in ebook format it allows us to create a diverse selection of books at a low cost with fast, easy, unlimited distribution. AF: Is it challenging to keep the quality of the artwork high while at the same time making sure that the manga reproduces correctly in the E-Book Reader? CO: There are some drawbacks like having to keep the resolution and font size small but we do the best we can to make the ebooks at the highest quality as possible. AF: Since you create the digital versions first and then offer the print versions, does this help to speed up the transfer process? CO: Absolutely, once we have the ebook version we can go to print almost immediately after a few modifications to the resolution. AF: Besides being on printed paper, are there any differences or extras in the print versions of titles that are not included in the electronic versions? CO: We keep our printed version the same as the original Japanese so each has a nice full color dust jacket, which is unique to the manga produced by other publishers in the US. We have had many people express that they really love that we kept the books in the same size and format. AF: ComicsOne's series have begun appearing in Previews Magazine, do you feel that this will help give more exposure in the print world? CO: Definitely, Diamond is where the majority of comic fans and retailers go to purchase their comics so being included in Previews gives us very good exposure to our main audience. AF: Junji Ito's horror manga has been gaining a lot of recognition since VIZ's PULP began running the Uzumaki series, has the Flesh Colored Horror collection been receiving a lot of attention? CO: PULP has been reviewing many of the ComicsOne titles especially Tomie and Flesh Colored Horror by Junji Ito. Their coverage has been very helpful in generating attention for our titles. AF: When can we expect to see the release of Lupin The 3rd - Y? CO: This title is on hold for the moment. AF: Are there any plans for any older series that ComicsOne would like to release in the future? CO: ComicsOne has no restrictions on age or genre of a series. We will continue to bring over titles that we think the American public would enjoy. So yes we do have plans but we can't tell you any specifics at this time. AF: So, which is be far your most popular series to date? ComicsOne: It' s a close race between Maico 2010 and Kazan. We carry all kinds of titles so there is something for everyone. AF: Has it been hard to convince people that are primarily print based to give e-manga a try? CO: Since our ebooks are so reasonably priced we have found that many people use the ebook format as a form of preview. If they like the story then they will go out and buy the print version. It's more of a matter of exposing people to emanga once a person tries it they usually come back for more. That is one of the reasons we try to always have one or two ebooks available for free on our site.